E. Kaselouris, E. Skarvelakis, I.K. Nikolos, G.E. Stavroulakis, Y. Orphanos, E. Bakarezos, N.A. Papadogiannis, M. Tatarakis, and V. Dimitriou, "Simulation of the transient behavior of matter with characteristic geometrical variations and defects irradiated by nanosecond laser pulses using FEA", Key Engineering Materials 665, 157, 2016. E. Kaselouris, I.K. Nikolos, Y. Orphanos, M. Bakarezos, N.A. Papadogiannis, M. Tatarakis, and V. Dimitriou, "Elastoplastic study of nanosecond-pulsed laser interaction with metallic films using 3D multiphysics FEM modeling", International Journal of Damage Mechanics 25, 42, 2016. I. Potamitis and I. Rigakis, "Large aperture optoelectronic devices to record and time-stamp insects’ wingbeats", IEEE Sensors Journal, 2016. I. Potamitis and I. Rigakis, "Measuring the fundamental frequency and the harmonic properties of the wingbeat of a large number of mosquitoes in flight using 2D optoacoustic sensors", Applied Acoustics, vol. 109, pp. 54-60, Aug. 2016. I. Potamitis and I. Rigakis, "Mass data acquisition and analysis of optical insects’ wingbeat signals", International Conference on Mass Data Analysis of Images and Signals MDA 2016, New York. I. Potamitis and I. Rigakis, "Insect surveillance at a global scale and the Internet of Things", Poster at the EcoSummit 2016 Ecological Sustainability: Engineering Change, Montpellier, France, Aug. 2016. E. Tzianaki, M. Bakarezos, G. Tsibidis, S. Petrakis, P. Loukakos, C. Kosmidis, M. Tatarakis, and N. Papadogiannis, "Optical control of giant nanoscale acoustic strains in semi-conductors induced by femtosecond laser pulses", 23rd International Congress on Sound & Vibration, 2016. Y. Orphanos, E. Kaselouris, V. Dimitriou, M. Bakarezos, M. Tatarakis and N. Papadogiannis, "Laser generated surface acoustic waves in nanostructure materials and their application, 23rd International Congress on Sound & Vibration, 2016. V. Dimitriou, E. Kaselouris, Y. Orphanos, M. Bakarezos, N. Vainos, I.K. Nikolos, M. Tatarakis, and N.A. Papadogiannis, "The thermo-mechanical behavior of thin metal films under nanosecond laser pulse excitation above the thermoelastic regime", Applied Physics A: Materials Science & Processing 118, 739, 2015. E. Tzianaki, M. Bakarezos, G.D. Tsibidis, Y. Orphanos, P.A. Loukakos, C. Kosmidis, P. Patsalas, M. Tatarakis, and N.A. Papadogiannis, "High acoustic strains in Si through ultrafast laser excitation of Ti thin-film transducers", Optics Express 23, 17191, 2015. I. Potamitis, I. Rigakis, and K. Fysarakis, "Insect biometrics: Optoacoustic signal processing and its applications to remote monitoring of McPhail type traps", PLoS ONE 10 (11), 2015. I. Potamitis and I. Rigakis, "Smart traps for automatic remote monitoring of Rhynchophorus ferrugineus (Coleoptera: Curculionidae)", Peerj Preprints, 2015. I. Potamitis and I. Rigakis, "Novel noise-robust optoacoustic sensors to identify insects through wingbeats", IEEE Sensors Journal, vol.15, no.8, pp.4621-4631, Aug. 2015. I. Fitilis, A. Skoulakis, E. Kaselouris, I.K. Nikolos, E. Bakarezos, N.A. Papadogiannis, V.M. Dimitriou, and M. Tatarakis, "Progress of the initial times of single wire explosion for plasma generation through numerical and experimental method", 42nd European Physical Society Conference on Plasma Physics, Online Conference Proceedings, vol. 39E, P1.224 (ISBN 2-914771-98-3), Lisbon, Portugal, 22-26 June 2015. E. Kaselouris, A. Skoulakis, V.M. Dimitriou, I. Fitilis, I.K. Nikolos, E. Bakarezos, N.A. Papadogiannis, and M. Tatarakis, "Finite element study of the initial stages of explosion of single wire z-pinch validated by experiments", 8th GRACM International Congress on Computational Mechanics, Electronic Proceedings (ISBN 978-960-9439-36-7), University of Thessaly Press, Volos, Greece, 12-15 July 2015. E. Kaselouris, E. Skarvelakis, I.K. Nikolos, G. Stavroulakis, Y. Orphanos, E. Bakarezos, N.A. Papadogiannis, M. Tatarakis, and V. Dimitriou, "A FEM study on the influence of the geometric characteristics of metallic films irradiated by nanosecond laser pulses", 8th GRACM International Congress on Computational Mechanics, Electronic Proceedings (ISBN 978-960-9439-36-7), University of Thessaly Press, Volos, Greece, 12-15 July 2015. I. Fitilis, A. Skoulakis, E. Kaselouris, I.K. Nikolos, E. Bakarezos, N.A. Papadogiannis, V.M. Dimitriou, and M. Tatarakis, "Diagnosing the initial stages from solid to plasma phase for dense plasma explosions", 1st European Physical Society Conference Proceedings on Plasma Diagnostics (1st ECPD), Proceedings of Science (PoS), Frascati, Rome, Italy, 14-17 April 2015. I. Potamitis, I. Rigakis, and K. Fysarakis, "Remote monitoring of insects of economic importance based on the spectral analysis of their wing-flap", 9th EARSeL SIG Imaging Spectroscopy Workshop, 14-16 April 2015. E. Kaselouris, E. Skarvelakis, Y. Orphanos, M. Bakarezos, M. Tatarakis, N.A. Papadogiannis and V. Dimitriou, “FEM simulation of SAWs dynamics generated by ns laser pulses in thin films as a diagnostic of defects in matter”, International Conference Science in Technology 2015 (SCinTE2015), Athens, Greece, 5-7 November 2015. E. Kaselouris, E. Skarvelakis, I.K. Nikolos, G. Stavroulakis, Y. Orphanos, E. Bakarezos, N.A. Papadogiannis, M. Tatarakis, and V. Dimitriou, “Simulation of the transient behavior of matter with characteristic geometrical variations and defects irradiated by nanosecond laser pulses using FEA”, 14th International Conference on Fracture and Damage Mechanics, Budva, Montenegro, 21-23 September 2015. M. Bakarezos, Y. Orphanos, I. Tzianaki, V. Kaselouris, V. Dimitriou, G.D. Tsibidis, P.A. Loukakos, M. Tatarakis and N.A. Papadogiannis, “Ultrafast dynamics and imaging of laser-generated nano-acoustic waves in metal/substrate layered systems”, Photonica 2015, Vinča Institute of Nuclear Sciences, Belgrade, Serbia, August 2015. N.A. Papadogiannis, M. Bakarezos, I. Tzianaki, Y. Orphanos, E. Kaselouris, V. Dimitriou, and M. Tatarakis, “Monitoring matter dynamics under ultrafast laser excitation”, Invited Talk on the CECAM Workshop on Multi-scale modelling of matter under extreme irradiation, Dublin, 17-20 June 2015. I. Fitilis, A. Skoulakis, S.M. Hassan, E.L. Clark, E. Kaselouris, V. Dimitriou, J. Chatzakis, P. Lee, T.G. Papadoulis, M. Bakarezos, C. Petridis, I.K. Nikolos, E. Drakakis, C. Kosmidis, N.A. Papadogiannis, and M. Tatarakis, “Study of a miniature plasma focus neutron source”, 2015 International Conference on Applications of Nuclear Techniques, Rethymnon, Crete, Greece, 14-20 June 2015. I. Potamitis, I. Rigakis, and K.Fysarakis, "The electronic McPhail trap", Sensors 14, 22285-22299, 2014. A. Skoulakis, G.C. Androulakis, E.L. Clark, S.M. 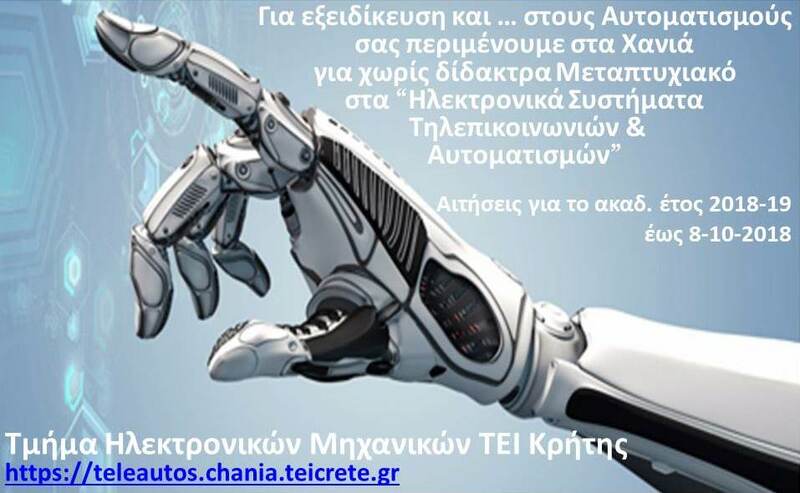 Hassan, P. Lee, J. Chatzakis, M. Bakarezos, V. Dimitriou, C. Petridis, N.A. 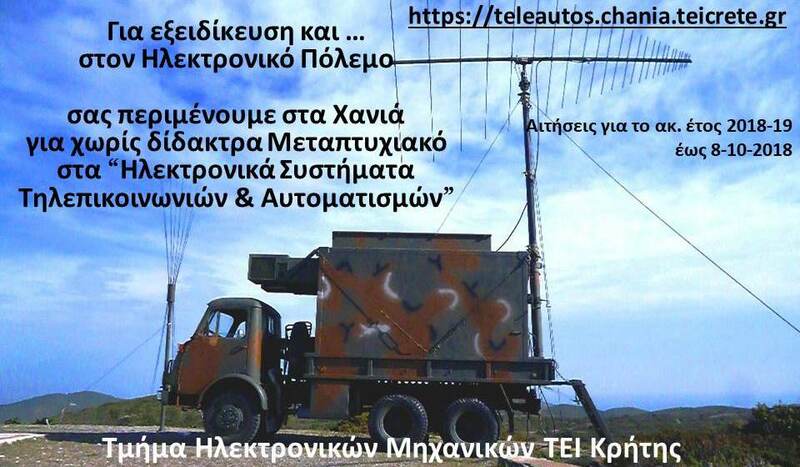 Papadogiannis, and M. Tatarakis, "A portable pulsed neutron generator", International Journal of Modern Physics: Conference Series 27, 1460127, 2014. Ε. Τζιανάκη, Ι. Ορφανός, Ε. Κασελούρης, Ε. Μπακαρέζος, Β. Δημητρίου, Μ. Ταταράκης, και Ν. Παπαδογιάννης, "Νανοακουστικά κύματα με τη χρήση υπερβραχέων παλμών laser και οι εφαρμογές τους σε σύνθετα υλικά", Ακουστική 2014, Πρακτικά σ. 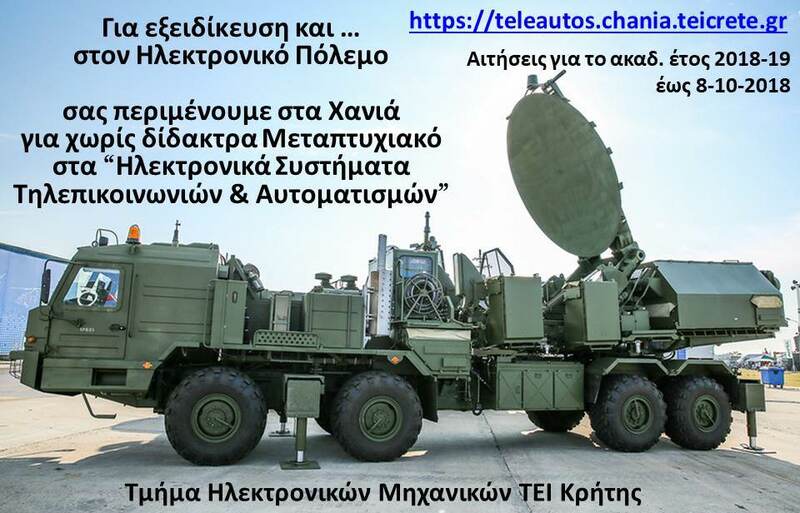 270-277, Αριστοτέλειο Πανεπιστήμιο Θεσσαλονίκης, Θεσσαλονίκη, Ελλάδα, 20-21 Οκτωβρίου 2014. E. Kaselouris, I.K. Nikolos, Y. Orphanos, E. Bakarezos, N. Vainos, N.A. Papadogiannis, M. Tatarakis, and V. Dimitriou, "3D multiphysics FEM modeling of nanosecond pulsed laser interaction with metallic films", 5th European Conference on Computational Mechanics (ECCM V), Conference Proceedings vol II (ISBN: 978-84-942844-7-2), pp. 758-769, Barcelona, Spain, 20-25 July 2014. E. Kaselouris, V. Dimitriou, A. Skoulakis, I. Fitilis, Y. Orphanos, I.K. Nikolos, E. Bakarezos, N.A. Papadogiannis and M. Tatarakis, "Experimental and numerical study of the initial stages of explosion of thick single wire z-pinch", 41st European Physical Society Conference on Plasma Physics, Online Conference Proceedings vol. 38F, P4.114 (ISBN 2-914771-90-8), Berlin, Germany, 23-27 June 2014. V. Dimitriou, E. Kaselouris, Y. Orphanos, M. Bakarezos, N. Vainos, M. Tatarakis, and N.A. Papadogiannis, "Three dimensional transient behavior of thin films surface under pulsed laser excitation", Applied Physics Letters 103, 114104, 2013. Y. Orphanos, V. Dimitriou, E. Kaselouris, E. Bakarezos, N. Vainos, M. Tatarakis, and N.A. Papadogiannis, "An integrated method for material properties characterization based on pulsed laser generated surface acoustic waves", Microelectronic Engineering 112, 249, 2013. E. Kaselouris, I.K. Nikolos, Y. Orphanos, E. Bakarezos, N.A. Papadogiannis, M. Tatarakis, and V. Dimitriou, "A review of simulation methods of laser matter interactions focused on nanosecond laser pulsed systems", Journal of Multiscale Modelling 5, 1330001, 2013. V. Dimitriou, E. Kaselouris, Y. Orphanos, E. Bakarezos, N. Vainos, I.K. Nikolos, N.A. Papadogiannis and M. Tatarakis, "Matter dynamics under the interaction with laser pulses in the thermoelastic & plasma regimes", 40th European Physical Society Conference on Plasma Physics, Online Conference Proceedings vol. 37D, P1.206 (ISBN 2-914771-84-3), Espoo, Finland, 1-5 July 2013. E. Kaselouris, Y. Orphanos, V. Dimitriou, E. Bakarezos, N. Vainos, M. Tatarakis and N.A. Papadogiannis, "3D finite element modeling of laser-generated sdurface acoustic waves in film-substrate systems validated by experiments", 10th HSTAM International Congress on Mechanics, Conference Proceedings (ISBN: 978-960-8475-18-2), Chania, Crete, Greece, 25-27 May 2013. E. Kaselouris, V. Dimitriou, I.K. Nikolos, Y. Orphanos, E. Bakarezos, N.A. Papadogiannis, and M. Tatarakis, "Numerical simulations for the study of matter behaviour dynamics governed by the interaction with laser pulses or external strong currents", 10th HSTAM International Congress on Mechanics, Conference Proceedings (ISBN: 978-960-8475-18-2), Chania, Crete, Greece, 25-27 May 2013. E.P. Benis, M. Bakarezos, N.A. Papadogiannis, M. Tatarakis, S. Divanis, C. Broin, and L.A.A. Nikolopoulos, "Role of broadband-laser-pulse temporal extent in photodissociation", Physical Review A 86, 043428, 2012. A.J. Konstantaras, E. Katsifarakis, E. Maravelakis, E. Skounakis, E. Kokkinos, and E. Karapidakis, "Intelligent epicentre clustering of seismicity in the vicinity of the Hellenic seismic arc", Earth Science Research (ESR) by Canadian Center of Science and Education, vol. 1 (2), Aug. 2012. Ι. Ορφανός, Β. Δημητρίου, Ε. Κασελούρης, Σ. Μπρέζας, Ε. Μπακαρέζος, Μ. Ταταράκης, Ν. Βάινος, και Ν.Α. Παπαδογιάννης, "Τρισδιάστατη απεικόνιση ολικού πεδίου νανο-ακουστικών κυμάτων σε μεταλλικές και διηλεκτρικές επιφάνειες με τη χρήση παλμικών πηγών laser", Ακουστική 2012, Πρακτικά σ. 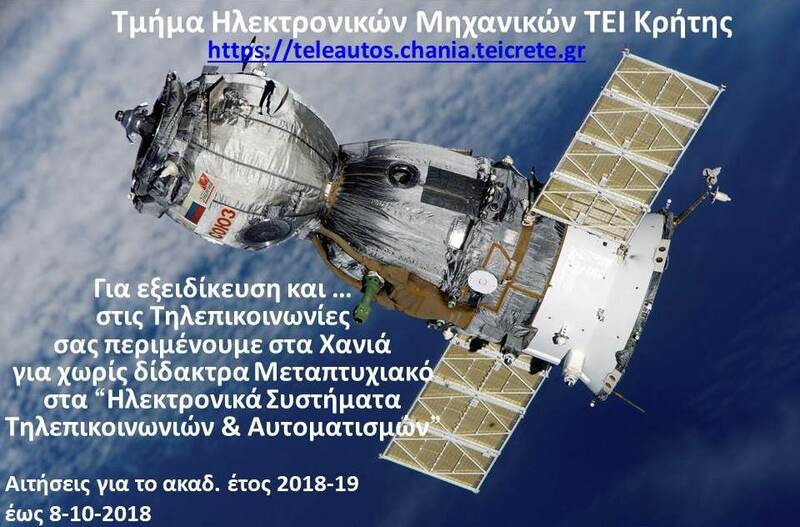 120-127, Ιόνιο Πανεπιστήμιο, Κέρκυρα, Ελλάδα, 8-10 Οκτωβρίου 2012. A. Willner, F. Tavella, M. Yeung, T. Dzelzainis, C. Kamperidis, M. Bakarezos, D. Adams, R. Riedel, M. Schulz, M.C. Hoffmann, W. Hu, J. Rossbach, M. Drescherh, V.S. Yakovlev, N.A. Papadogiannis, M. Tatarakis, B. Dromey, and M. Zepf, "Efficient control of quantum paths via dual-gas high harmonic generation", New Journal of Physics 13, 113001, 2011. A. Willner, F. Tavella, M. Yeung, T. Dzelzainis, C. Kamperidis, M. Bakarezos, D. Adams, M. Schulz, R. Riedel, M.C. Hoffmann, W. Hu, J. Rossbach, M. Drescher, N.A. Papadogiannis, M. Tatarakis, B. Dromey, and M. Zepf, "Coherent control of high harmonic generation via dual-gas multijet arrays", Physical Review Letters107, 175002, 2011. A. Willner, M. Schulz, R. Riedel, M. Yeung, T. Dzelzainis, C. Kamperidis, M. Bakarezos, D. Adams, V. Yakovlev, J. Rönsch-Schulenburg, B. Dromey, N.A. Papadogiannis, M. Tatarakis, S. Düsterer, S. Schreiber, B. Faatz, M. Drescher, J. Rossbach, M. Zepf, and F. Tavella, "A new XUV-source for seeding a FEL at high repetition rates", Proceedings of SPIE - The International Society for Optical Engineering 8075, 80750L, 2011. S.M. Hassan, E.L. Clark, C. Petridis, G.C. Androulakis, J. Chatzakis, P. Lee, N.A. Papadogiannis, and M. Tatarakis, “Filamentary structure of current sheath in miniature plasma focus”, IEEE Transactions on Plasma Science 39, 2432, 2011. E.L. Clark, C. Kamperidis, N.A. Papadogiannis, and M. Tatarakis, “Issues of the HiPER fundamental science programme”, SPIE - The International Society for Optical Engineering8080, 80802C, 2011. F. Tavella, D. Adams, V. Ayvazyan, N.-I. Baboi, J. Bahrdt, E. Bakarezos, V. Balandin, W. Decking, B. Dromey, T. Dzeltainis, S. Düsterer, M. Drescher, H.-J. Eckoldt, B. Faatz, J. Feldhaus, R. Follath, M. Gensch, N. Golubeva, K. Holldack, C. Kamperidis, M. Körfer, T. Laarmann, A. Leuschner, L. Lilje, T. Limberg, A. Meseck, V. Miltchev, R. Mitzner, D. Nölle, N. Papadogiannis, A. Petrov, K. Rehlich, R. Riedel, J. Rossbach, H. Schlarb, B. Schmidt, M. Schmitz, S. Schreiber, J. Rönsch, H. Schulte-Schrepping, M. Schulz, J. Spengler, M. Staack, M. Tatarakis, K. Tiedtke, M. Tischer, R. Treusch, A. Willner, M. Yeung, and M. Zepf, "High repetition rate mJ-level few-cycle pulse laser amplifier for XUV-FEL seeding", International Conference on High Intensity Lasers and High Field Phenomena (HILAS), Conference Proceedings (ISBN: 978-1-55752-904-6), Art. No. HThD1, Istanbul, Turkey, 16-18 February 2011. A. Willner, M. Yeung, T. Dzelzainis, C. Kamperidis, M. Bakarezos, D. Adams, V. Yakovlev, F. Tavella, B. Dromey, B. Faatz, N.A. Papadogiannis, M. Tatarakis, J. Rossbach, and M. Zepf, "Complete control of high-harmonic generation for high average power applications",Conference on Lasers and Electro-Optics / Quantum Electronics and Laser Science Conference (CLEO / QELS), Conference Proceedings (ISBN: 978-1-55752-910-7), Art. No. QMC6, Baltimore, Maryland, USA, 1-6 May 2011. 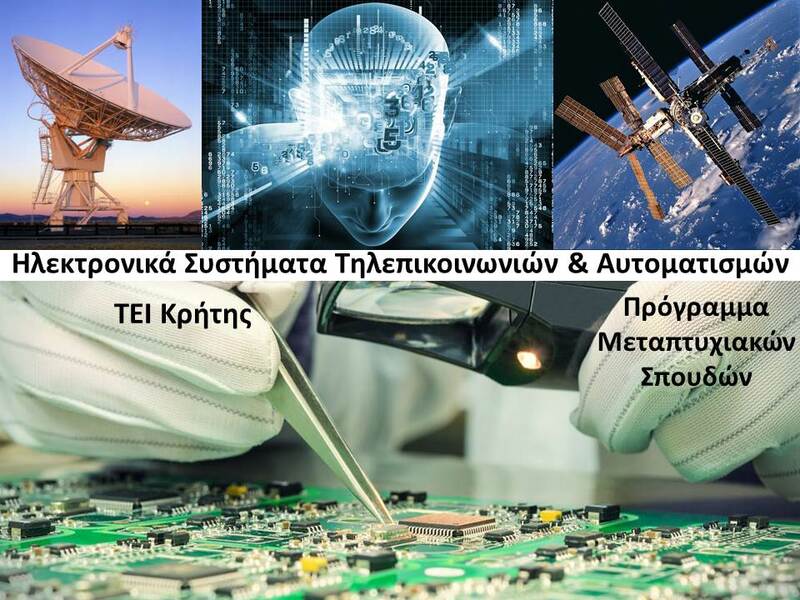 E. Kokkinos, E. Michalodimitrakis, T. Hohlidaki, E. Fotinopoulou, and J. Makris, "Tool development for analysis of WCDMA radio measurements and investigation of EcNo and RSCP values before drop call", WSEAS Transactions on Electronics, vol. 4 (12), pp 261-267, Dec. 2007. 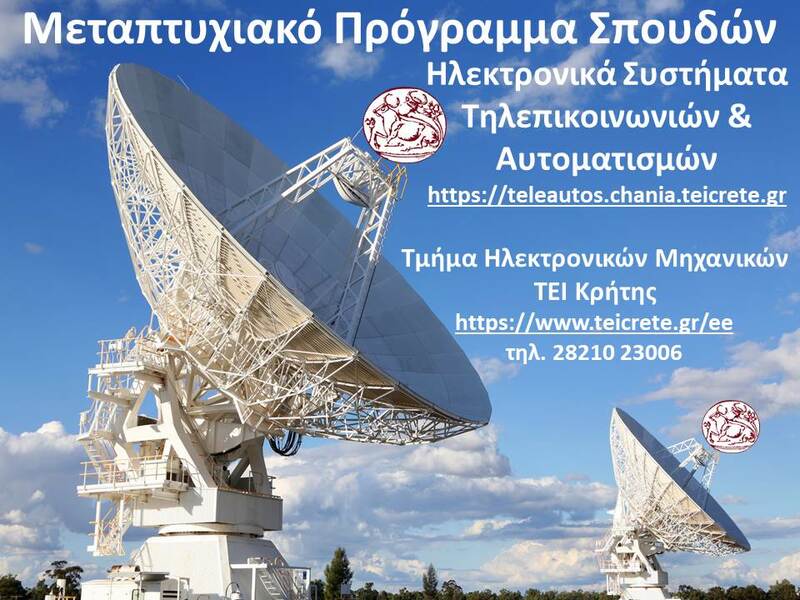 E. Kokkinos, E. Michalodimitrakis, T. Hohlidaki, E. Fotinopoulou, and J. Makris, "Tool development for post processing analysis of WCDMA measurements”, WSEAS Conference on Communication, Ag. Nikolaos, 26-28 July 2007. E. Kokkinos, G. Liodakis, I.O. Vardiambasis, D. Paterakis, and M. Mavredakis, "Laboratory education for cellular communication systems: GSM radio and transmission planning", WSEAS Conference on Education, Vouliagmeni, Athens, 8-10 July 2005. G. Liodakis, E. Kokkinos, I.O. Vardiambasis, D. Paterakis, and M. Mavredakis, "Cellular radio communications engineering education through laboratory experimentation", WSEAS Conference on Education, Vouliagmeni, Athens, 8-10 July 2005. E. Kokkinos, "Examining GSM-1800 repeater pilot installation and testing", IIR Conferences on Measuring and Optimising GSM Network Performance, Geneva, Switzerland, 24-27 April 2001. E. Kokkinos and A. Maras, "Narrowband incoherent threshold detection in nonadditive Markov noise”, Signal Processing (European), 72, pp. 39-45, 1999. E. Kokkinos and A. Maras, "Locally optimum Bayes detection in non-additive first-order Markov noise", IEEE Transactions on Communications, vol. 47 (3), pp. 387-396, March 1999. A. Maras and E. Kokkinos, "Space-time threshold detection in non-additive, nonGaussian noise fields", Journal of the Franklin Institute, vol. 336, pp. 675-686, 1999. A. Maras and E. Kokkinos, “Locally optimum Bayes detection (LOBD) in signal-dependent noise”, IEEE Transactions on Communications, vol. 45 (5), May 1997. E. Kokkinos and A. Maras, "A first-order stationary Markov class A transition density", Journal of the Franklin Institute, vol. 334B (4), pp. 525-537, April 1997. A.M. Maras and E.A. Kokkinos, "Locally optimum Bayes detection in non-additive non-Gaussian noise", IEEE Transactions on Communications, vol. COM-43, no.4, pp. 1545-1555, April 1995. A.M. Maras and E.A. Kokkinos, "Signal detection in additive non-Gaussian noise", IEEE Workshop on Nonlinear Signal and Image Processing, Proceedings, pp. 218-221, Neos Marmaras, Greece, 20-22 June 1995.